A properly implemented Design System can give you the building blocks for all future designs. This ensures that, whenever your product is updated or new content is added, everything remains consistent and functional, as well as quick to develop. Our design solutions can provide you with new designs, or give you the tools needed for ongoing innovation. Clear consistency matters - are you sacrificing user experience due to everchanging design solutions? Whether you’re looking to enhance how your existing team operates, or want to be able to roll out new brands and products with ease, a Design System will greatly enhance how you work, offering the ideal foundation for ensuring consistency and usability in all you create. Get the building blocks to design and develop what you need once, but implement it throughout with ease. Don’t start each project recreating the same basic elements. Pull from an established library and focus on the unique features straight away. Different teams can create new products and services, accessing a shared library to effortlessly and elegantly add to your range without the need to cross-check designs. Whether you need technical expertise, a design consultant or a UX specialist, our fully rounded team can compliment your business at every step. A Design System and asset library allow you to ensure consistency among everything you offer, giving users a better experience. Design Systems let you reuse common assets, ensuring the basics are already covered before you begin a new project, allowing you to quickly create new elements and update old elements. Our Design Systems services are aimed at companies with their own teams, as well as those with a digital solution idea in need of realisation. 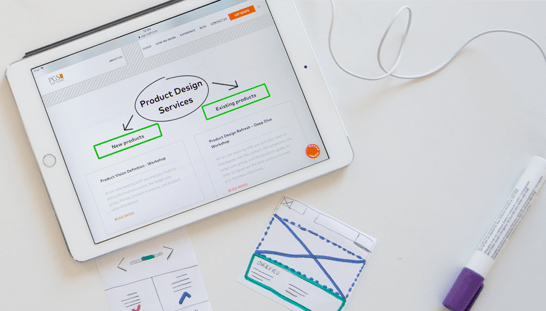 We can share our knowledge via workshops and implement a Design System for your products. 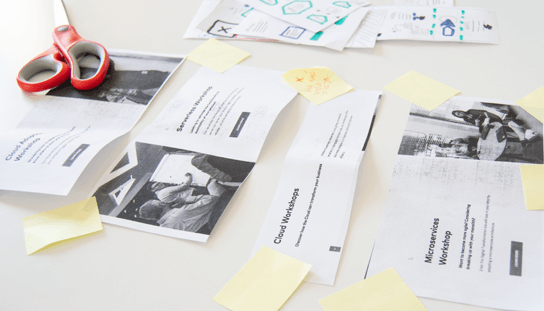 An on-site meeting with you and your team to highlight the various benefits a Design System can bring to your business and to help identify the best strategy for implementation. A full analysis of your product or portfolio, regarding design consistency, aimed to enable your product(s) to offer a stronger, more cohesive user experience. An on-site meeting with you and your team to identify a sustainable development approach that enables you to streamline processes, as well as to create and maintain a coherent design. A working prototype to streamline your design processes and to ensure consistency across old and new products. Implement a Design System into your business and help your teams design and develop products faster, to reuse existing elements, and to ensure consistency across everything you create. Ongoing support for updating and innovating your Design System. Ensure your system and design library are always at peak performance and can handle any new challenges. Without a Design System in place, creating new projects, or updating existing ones, takes too long and often creates inconsistencies that negatively impact the final experience. Your product has existed for a number of years and you’re concerned various updates and adjustments - or a lack thereof - have created an inconsistent experience. You may also be considering expansion and want to ensure your team can quickly develop new solutions that retain consistency in their overall design and user experience. Your team wants to adopt a Design System for their products, but lacks knowledge on how to do this or which tools to use. You want to improve your design processes but aren’t sure how a Design System will work. You want to see a working demonstration to better assess its potential for your business, or to convince others in the company. Your team is rebuilding basic elements from scratch, or designing new elements that are inconsistent across your products or solutions. You know that a Design System can fix all of these problems, but you lack the expertise to smoothly develop and integrate such a system. Your business is ever expanding and you now have new design challenges. You want to upgrade your system to allow for greater flexibility, to better enable teams to access their respective area, or to add entire new component types to your library. Instead of working with one agency for design reviews and another to implement solutions, why not choose a company that can source all the experts you need? We have dedicated specialists for every stage of the design process, so you always receive professional guidance, development, and results. We are always up to date with the latest design trends, so we can advise you on how to update your offers and make the most of today’s solutions. We’ve created dozens of exquisitely crafted products, so we know exactly what users respond well to, as well as what’s needed in the backend for your own team. We have design consultants, product managers and tech experts - all the skills and knowledge under one roof, enabling us to provide a coherent experience at any stage. We’re not a vendor trying to sell the same product over and over. We have vast experience in the industry, so we can recommend - and implement - the best solution for your specific business needs. Design Systems work at any size. If you need new features or expertise, we can ensure your system scales as your range expands. He is an expert frontend developer with 13 years of experience, specialising as a team and frontend guild lead. 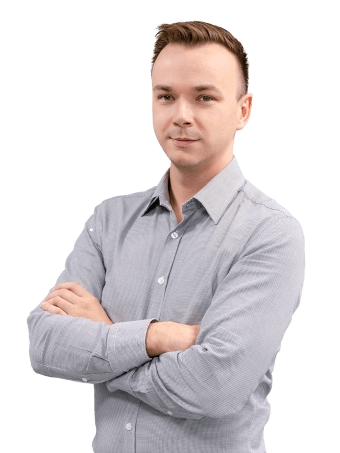 These days, he is the manager responsible for frontend resources and services at PGS Software. His passion for frontend stems from the desire to combine design and code in order to create elegant solutions that provide a clear, powerful user experience. Previously, he has worked as a designer and product owner, so he has vast experience in the product design process. We undertook a full analysis of our website, in order to best utilise and plan a design system that could keep our online experience consistent.